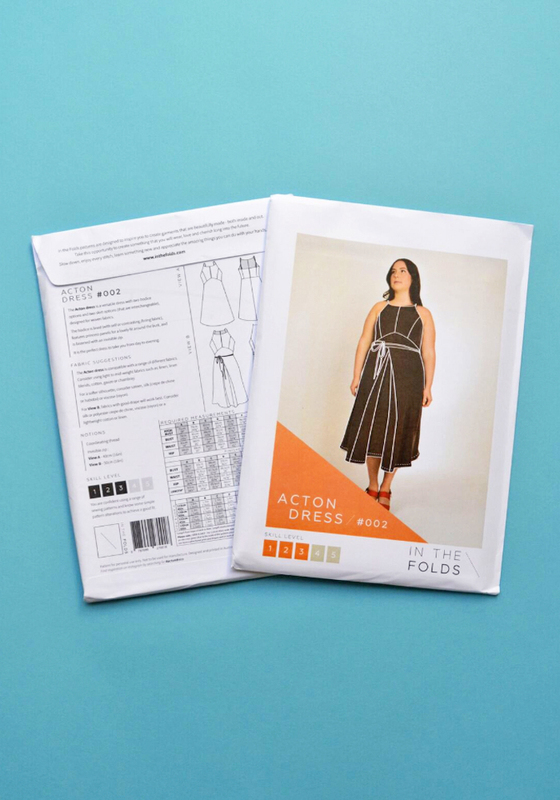 Buy The Acton Dress sewing pattern from In The Folds. 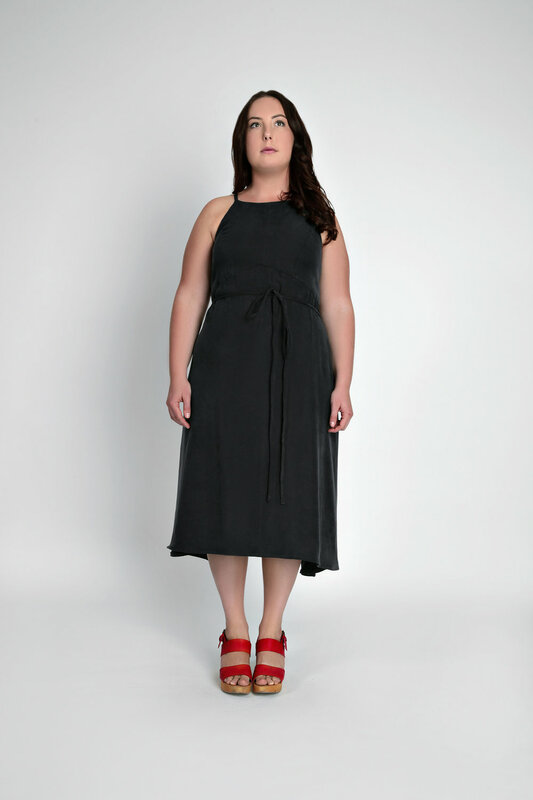 The Acton is a versatile dress with two bodice options and two skirt options (that are interchangeable), designed for woven fabrics. The bodice is lined, features princess panels for a lovely fit around the bust, and is fastened with an invisible zip. The Acton is beautifully designed and carefully drafted to include many interesting details, to make this a very enjoyable sew for confident sewers. The pattern comes with fully illustrated instructions to hold your hand every step of the way (there is also a ‘cheat sheet’ available for those of you who don’t want your hand held) which can be printed at home, or simply viewed on a computer or tablet. Sizing: The pattern is available in 10 sizes (A – K) and is nested, to make it easier for you to grade between sizes. This is approximately equivalent to UK 4-22. Please see the images for size chart and finished garment measurements. 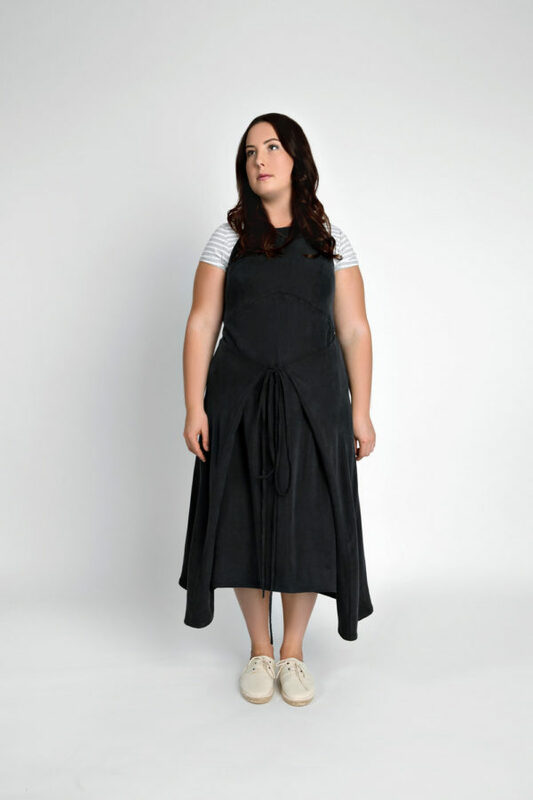 Suggested fabrics: The Acton is compatible with a range of different fabrics. Your choice of fabric will govern the silhouette you achieve. For view A, consider using mid-weight fabrics such as: linen, cotton or chambray. 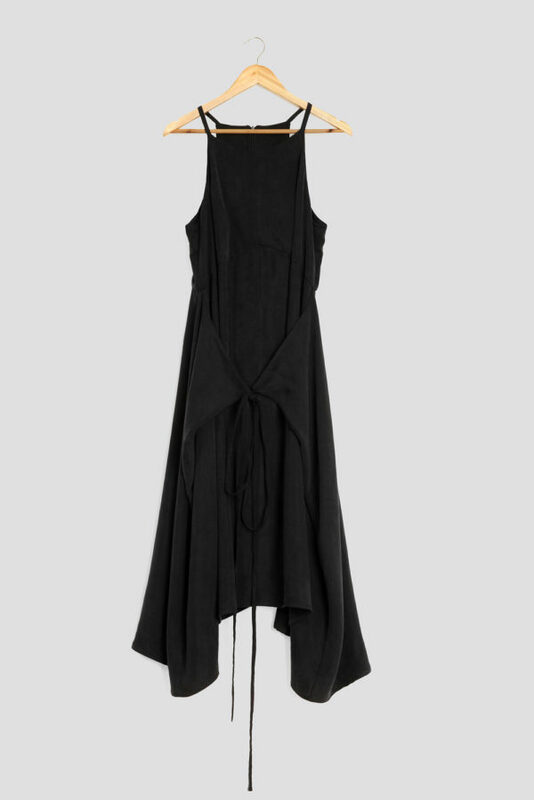 For a softer silhouette, consider sateen, silk (crepe de chine or habotai) or viscose (rayon). For view B, fabrics with good drape will work best. 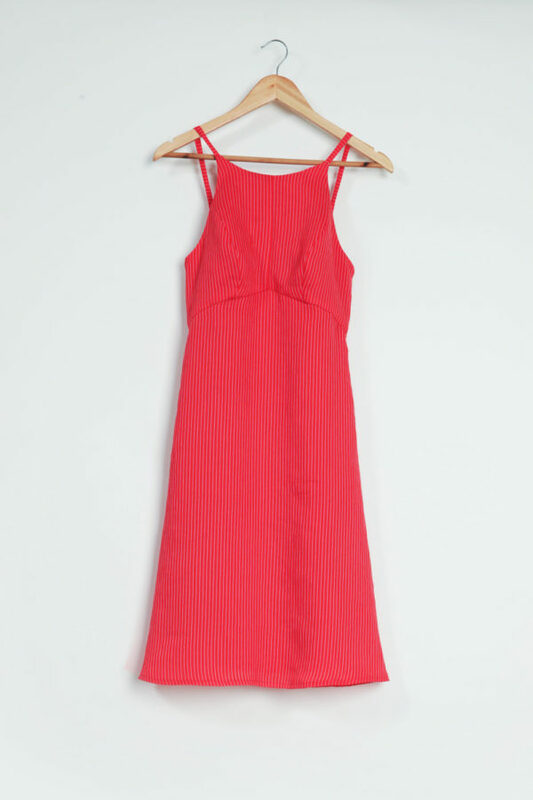 Consider silk or polyester crepe de chine, viscose (rayon) or a lightweight cotton or linen. ***NOTE: For 115cm (45in) wide fabrics in all sizes and 150cm (60in) wide in sizes E-K, the skirt will need to be cut on the cross grain (due to the scale of the pattern pieces). When selecting fabric, be careful to choose a fabric that does not have a directional print and drapes well in both directions. This sewing pattern is available in PAPER and PDF format. The PDF pattern will be available to download immediately after purchase. This is a fantastic pattern is really is. The instructions for is are amazing and soooo well written you really get your hand held through the process which I really like in a pattern. The construction was fairly simple for such and unusual cut, the fit for me was spot on and I didn’t have to make any adjustments apart from taking a little excess at the bust. 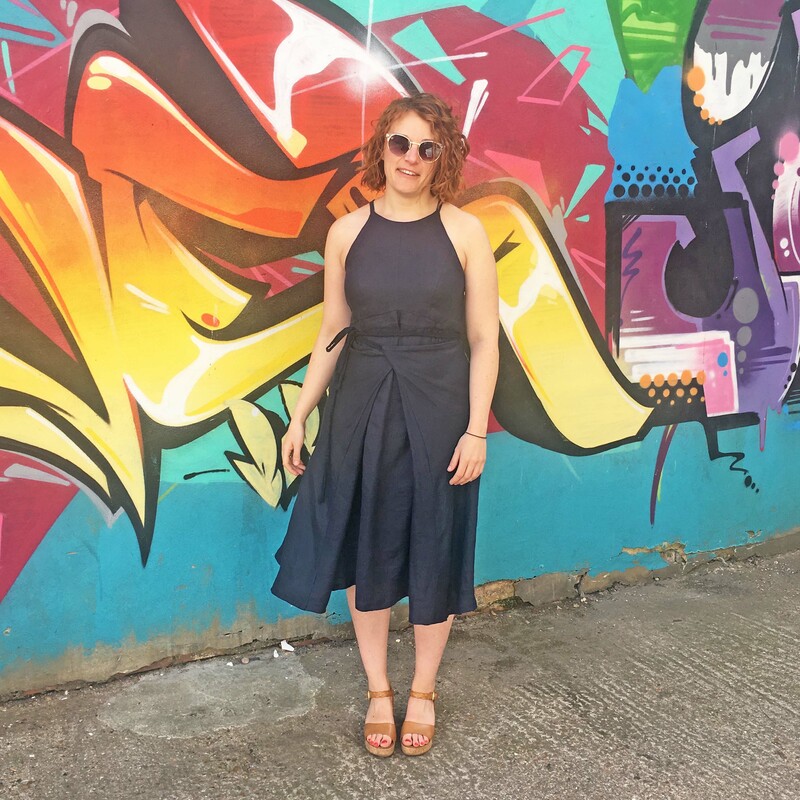 I made the dress out of a viscose linen – I think this dress needs some drape andI like the crumpled look of the linen that I’ve used. All in all it’s 5 * from me!